Member of COSAS, Co-founder of AYCO, UDF in the Transvaal and presently Minister of Arts and Culture in South Africa. Paul Mashatile was born on 21 October 1961 in Geraldsville, Pretoria (Tshwane). Mashatile was an active participant in the liberation struggle from his student days as a member of the Congress of South African Students (COSAS). He co-founded the Alexandra Youth Congress (AYCO) in 1983 and was elected as its first President. At the age of 23, Mashatile was elected the Assistant General Secretary of the United Democratic Front (UDF), Southern Transvaal region and later became its General Secretary from 1989 until the unbanning of political parties in 1990 when the UDF was dissolved. As a result of his involvement in the struggle against apartheid, Mashatile was harassed by the security police who also attempted to assassinate him. He was eventually detained without trial for four years from 1985 to 1989 after the declaration of the State of Emergency by the government. During his detention he embarked on an 18-day hunger strike as part of a nationwide protest. Mashatile took a leading role in re-establishing the structures of the African National Congress (ANC) and the South African Communist Party (SACP) when these organisations were unbanned in 1990. He was appointed as General Secretary of the SACP in Gauteng. Mashatile was also appointed as the ANC Branch Organiser in Alexandra and Branch Chairperson for SACP. He also served on the Interim Leadership Group of the ANC in the Pretoria-Witwatersrand-Vereeniging (PWV) region (of the former Transvaal) , led by the current Deputy President of the country, Kgalema Motlanthe. He was later appointed head of political education for the ANC PWV region. In 1992 he was elected the Provincial Secretary of the ANC, a position he held for six years working with Tokyo Sexwale (presently Minister of Human Settlements in South Africa) as Chairperson of the Province. In 1994, Mashatile became a member of the Gauteng Legislature and was appointed as Leader of the House, serving ex-officio in the Gauteng Cabinet. In 1996, he was appointed as Gauteng’s MEC for Transport and Public Works. He went on to hold numerous posts in the Gauteng Provincial Government, handling the portfolios of Safety (1998-1999), Housing (1999-2004) and Finance and Economic Affairs (2004-2008). In 1998 he became Deputy Chairperson of the ANC in Gauteng and in 2007 was elected Chairperson of the Province, a position he still holds today. After the resignation of the Premier of Gauteng Mbhazima Shilowa in 2008, Mashatile took over as Premier of the province. 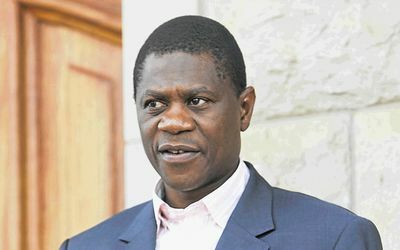 After serving 17 months as Deputy Minister of Arts and Culture, Paul Mashatile was appointed as Minister of Arts and Culture in the South African Parliament on November 2010.